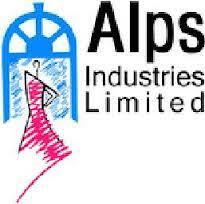 Alps Industries Ltd (Alps) was established in 1962 and has grown into a successful group over the past five decades. Alps, an ISO 9001:2015 certified Company, is an integrated textile manufacturing companies. We are enjoying a significant position in the Indian Textile sector in the manufacturing of value added synthetic, Natural and Blended yarns, all types of spun yarns, weaving and processing of fabrics and Made ups. For more information about this company, please search on our business directory. If ALPS Industries has registered itself in our Germany b2b portal you will find full information on its profile. The 26th edition of AERO Friedrichshafen, Europe’s most important trade show for general aviation, will take place in April 2018. More than 707 exhibitors from about 38 countries will be presenting the industry’s latest innovations in one of the world’s most modern exhibition centers which has direct access to Friedrichshafen Airport. More than 33,000 visitors, 63 percent of whom holding a pilot license, satisfy their aviation-related demand at this one-of-a-kind meeting place of the GA community. A unique network of supply and demand. Jazzahead! is an international trade fair related to the musical product ‘jazz’, as an ideal platform and main occasion to deal with and facilitate all affairs to make possible the live performance of jazz, recording and distribution, maintenance and to improve it. It organized 40 showcases for the professionals, open to local audiences as well. The four days of the Jazzahead! trade fair is preceded by a 14-day multi-arts and culture festival, organized in a cooperation between the city of Bremen and the partner country. As an annual marketplace of/for jazz in Hanseatic city of Bremen in North-Western Germany founded in 2006, offers you the opportunity to meet well-known musicians as well as job and business contacts opportunities. Find more about international fairs held in Germany on Bhowco.de at German trade fairs reportage or German trade fairs centers. We are happy to help you provide more information. So feel free to contact our experts via email contact: support@bhowco.de. ART COLOGNE is an art fair for international art galleries presenting art of the 20th and 21st centuries in Cologne, Germany, held every year. It is the oldest fair of its kind having started with just 18 galleries in 1967. It established by the gallery owners Hein Stünke and Rudolf Zwirner as the ‘Kunstmarkt Köln ’67’ and is an ideal platform for the combination of postwar, modern and contemporary arts. A supporting programme of exhibition openings and events in museums and institutions throughout the Rhineland adds value to the art fair. Newest young and emerging artists together with the experienced are here to offer the best ideas and arts, so you can look, discover and buy art. International art market enjoys the benefit of the art fair, take into action the solutions offered by.